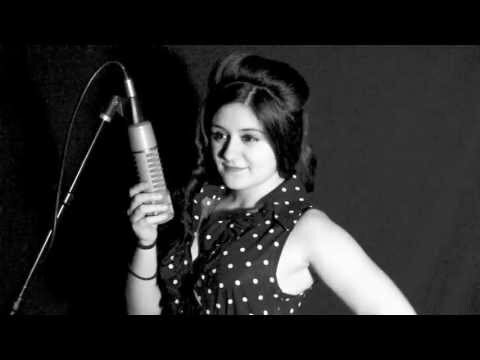 Kelsey Rose Sings "Where the boys are"
Diann/Marilyn Monroe was absolutely wonderful she personalized a song for my husband's 60th birthday also she was very professional and kind , Mingled and took a lot of time for pictures With our guest !! Definitely memories my husband won't forget . We hired Donnie to sing at our daughter's graduation party and he made the event memorable. Donnie sang a number of Rod Stewart songs with some Neil Diamond and others thrown in. Donnie was very professional, courteous, and easy to work with. He worked the crowd from young to old and left people smiling and clapping. If you want to make your event special, then my family highly recommends Donnie Rod. If you're looking to take a party to another level, get The Donny Rod Show! He was on time, professional, works with you, and is an awesome performer! His outfits, mannerisms, and voice are spot on! Just like having Rod Stewart at your party! We had The Donny Rod show for a 40th birthday party, he even did the soccer ball kick to the birthday person, sang happy birthday, did a few birthday announcements, and sang God Bless The USA because it was Memorial Day Weekend. 10/10. I would recommend him to anyone and would hire him again! Seriously made the party extraordinary! Our party really enjoyed the talent of Donny Rod! He was very entertaining and professional! We would highly recommend him!! 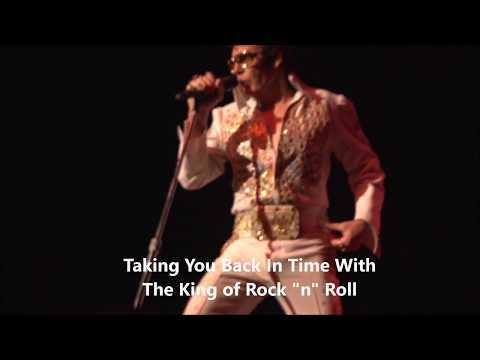 Having zero previous experience and/or recommendations with hiring live entertainment, I didn't know what to expect when planning Elvis and Rod Stewart impersonators for my mother's surprise 60th birthday party. These guys seriously stole the show! My mother was blown away, and all of our friends and family members were complementing how good the entertainment was all night. I couldn't have asked for a better party for my mother! Thank you! I was unable to make it to my niece's 30th birthday party. Instead, I sent Donnie. We was very patient about working with our new words to a popular song. I got a bad video one of the guests took and even through the fuzziness I saw how much the birthday girl enjoyed it and how talented and gracious Donnie was. Thanks for helping out! He was very quick to respond and get in touch with me in regards to the event. He was timely, professional, talented and most importantly, he made our dear friends day into a memory making moment that she won't soon forget! Stone Coast giving a shout out to Donnie Rod! We have worked with Donnie providing the sound and light production. He is a true professional, he works tirelessly at the details to provide the audience with the best possible performance. Looking for a spot on performance? Any Rod Stewart fan should look no further. Great guy and performer. Donnie came out and sang for my wife at work on her b-day. We danced, she cried, everyone clapped. It was a great experience. He was beyond polite and accommodating. I will definitely be telling everyone how great he was. They both were great! Both arrived before time, mingled with guests, took photos. Both were very cheerful! 93rd Birthday - Best Gift! Donnie was AMAZING. I booked Donnie to come sing to my Grandma at her 93rd birthday party. She LOVED it. I would book him again in a heartbeat. He was a great dinger, kept things fun and was very entertaining. Everyone had a great time. Donnie was awesome!! A crowd hit. He singled out the birthday, kept the crowd on their toes and threw in another song when the group mentioned a favorite. He was awesome and worth every cent!! We are still talking about it - and singing those songs!! Thank you, Donnie!!! Thank you Monica , I hope the Twins had a great birthday .!!!!!! Hi. I attended the Burton Memorial Day event, and I happen to sit down to listen to Mr. (Donnie) sing. He was very good. I found him to be very kind, as well. I spoke to him after we had been caught by high winds and rain that, unfortunately, caused the show to come to a stop. I remember he was very kind. I was so touched that he took the time to sing a few verses to me as I sat a few feet away. It was a kind gesture that I will forever cherish as a happy memory. I am still smiling. L.O.L. I enjoyed the music very much. I give "two thumbs up" to his performance. Sincerely, Anna Janelle Williams. Marilyn Monroe (Diane) was a perfect surprise to my brother's 50th birthday party! She was very talented and beautiful! Her personalized birthday song (on such a short notice) made the birthday message even more special! It was a big 'hit' with all our friends and family! A warm thanks to Diane & Donnie! I live in California and booked Donnie to sing at my sister's 75th birthday party. The dinner party was held at a hotel in a separate dining room that held about 40 close friends and family. Donnie was very responsive whenever I talked to him about the preparations, and he had good suggestions to make the best of everything. I heard from everyone in attendance what a big "hit" Donnie was and how well he got the audience to chime in. He was very professional and brought roses for the birthday girl -- in addition to singing and delivering other messages. I wish he lived in California so we could hire him again! I booked Donnie to come to my home and surprise my wife for a romantic night. Donnie was excellent and more. My wife and I really enjoyed the show. Donnie went beyond what I was expecting, making our evening that more special...Thanks Donnie.. I live out of town and Donnie was very helpful and responsive. He proposed several songs to sing and was open to my request to replace one song for another. Not only did he bring my Mom a bouquet of balloons, he dressed in a tux. He made sure that she was the center of attention in the dining room of her assisted living facility. My mom has dementia, but this activity really picked her up. She had a blast and sang along with Donnie for each song. Donnie was thoughtful enough to contact a woman taking photos of the event and sent them on to me via email. Donnie's attitude and service was great. I would recommend him to other folks and hope to use him again in the future. Donnie was great, my step-mom really enjoyed her singing telegram. He was very easy to book, and I would definitely use him again in the future! 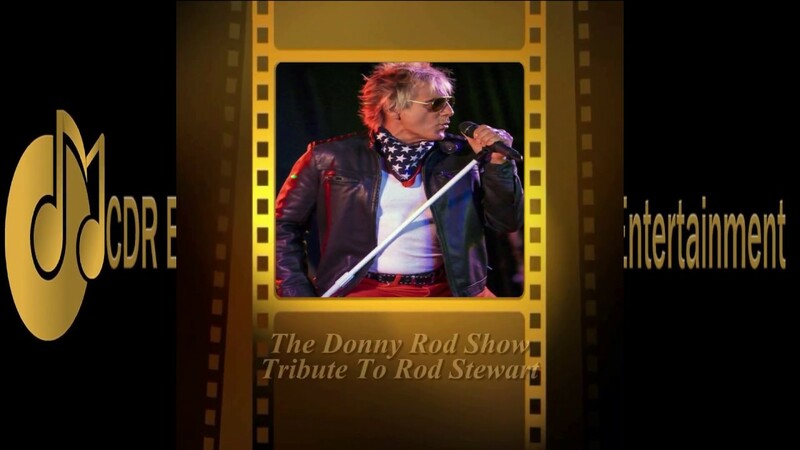 Donnie's Singing Solo Show features "The Donny Rod Show" as his special Salute to Rod Stewart. With his uncanny looks, personality, and sound of Rod Stewart make you feel like you are watching the real guy. Donnie will go back and sing songs from the earlier years with Rod and the Jeff Beck Group and Faces to the diversity of singing the songs from his “Great American Song Books” Donnie has performed on stage all over the country, from large concert halls to smaller venues. Donnie not just sings Rod music but will sing as a solo artist as well, his array of musical talent is unmatched . 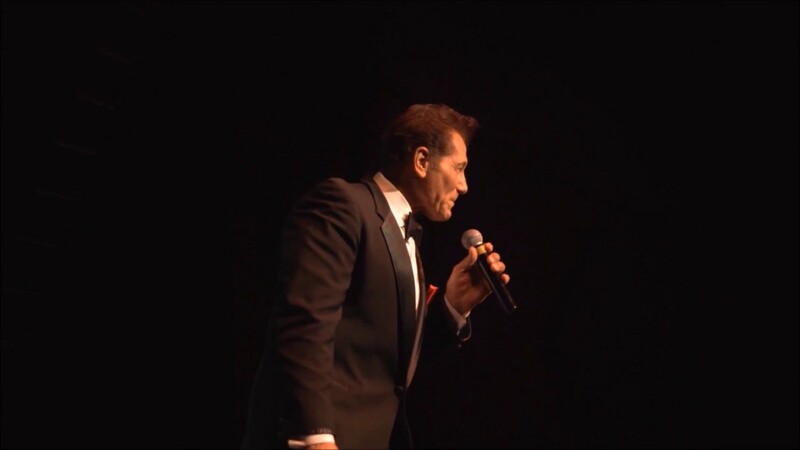 As a seasoned veteran his diversity to singing anything from Classic Rock to the Old Standards, like Frank Sinatra, Nat King Cole to todays talented Michael Buble. He also tours and works with “ The Legend Brothers Show” a tribute to the superstars show, that features our artists impersonating , Elvis Presley, Frank Sinatra, Dean Martin, Neil Diamond, Johnny Cash, Kenny Chesney,Jason Aldean, Luke Bryan, Tom Jones, Roy Orbison , Patsy Cline, Janet Lee, Selene, and more just to name a few. Normally we will bring my own sound system and Light Show that can handle up to about 300 people or more, Lights are important aspect of a good show if in a larger facility, can accommodate that as well, and we bring our Sound and Light technician also. Barry Manilow, Even Now, I was a fool to let you go. The Four Seasons, Can't take my eyes off of you. There have been many acts that have influenced me. Bob Seger, Rod Stewart, Elvis, Frank Sinatra, Neil Diamond, Michael Buble, Lionel Richie, too many to mention. We bring our own equipment ,we just ask to have ample electric inlets.If a large event has sound provided ,we just ask to do a sound check before performance.